One of the world’s most creative and high-tech fashion designers lives in Tokyo and rarely speaks to the press. OLIVIER ZAHM — You started your own company more than 20 years ago. Can you tell us about your personal evolution in relation to the transformation of fashion? JUNYA WATANABE — Let me correct you. It is not my company. It is Rei Kawakubo’s company and I work in it. As for my personal evolution, I think it has not been isolated from the overall transformation of fashion. I feel that my technique has certainly developed, but that doesn’t necessarily mean a positive change. With the surrounding situation, to be honest, I sometimes feel that it is very difficult to create something outstanding and interesting these days. OLIVIER ZAHM — How do design ideas come to you? Do you start from fabric or references from the past? References from art? 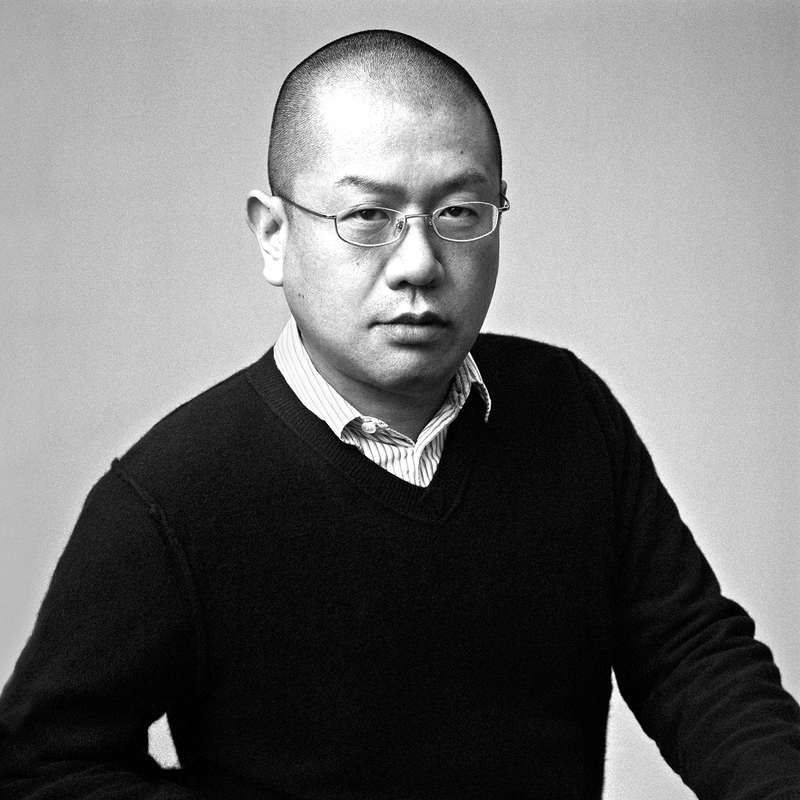 JUNYA WATANABE — My ideas come out squeezed and pressured, on deadlines. So I could say that the starting point of my creation would be a calendar and a schedule. OLIVIER ZAHM — What about your design is Japanese? What elements of the style come from Japanese inspiration? JUNYA WATANABE — I’ve never noticed or ever consciously thought of any specific country-driven influences on my design. This is not part of my process. OLIVIER ZAHM — You like new high-tech fabrics. What is the most complex fabric you’ve ever experimented with? JUNYA WATANABE — Strictly speaking, I do not think it should be described as “complex,” but I do recall developing a high-tech material for my S/S 1999 collection in conjunction with Toray. At the time, the material had not been used for clothing before. OLIVIER ZAHM — What do you like about using new, unexpected technical fabrics? JUNYA WATANABE — For each and every collection, I try to work on things I have never worked on before. In that sense, new and unexpected fabrics do stimulate my creative drive. OLIVIER ZAHM — We love when you design jeans. What do you like about denim? JUNYA WATANABE — I don’t know. I just happen to like denim, I guess. OLIVIER ZAHM — Would you say that you’re punk? Or have you gotten past the stage of being rebellious? JUNYA WATANABE — I see myself as a hard-working adult and a member of society. OLIVIER ZAHM — Do you feel more free designing for women or for men? 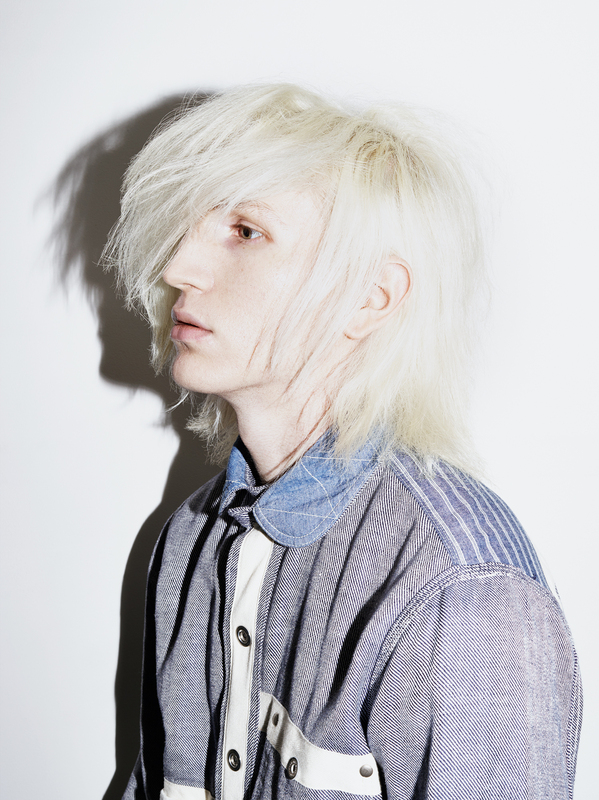 JUNYA WATANABE — I do take a different approach toward men’s and women’s collections. For the women’s collections, I try to look for what has yet to be seen. For the men’s collections, I play within the rules. OLIVIER ZAHM — You have a reputation for being very demanding. When are you satisfied with a design? How do you know that a piece is done and perfect for you? JUNYA WATANABE — I never get total satisfaction from any of my collections. Even after receiving responses and feedback on my collection, I feel I have barely moved forward. OLIVIER ZAHM — What is it that you like about American clothing traditions? JUNYA WATANABE — Indeed, I do like American clothing. I think it derives from the strong influence the US has and how that influence has been wielded over Japanese society and culture. OLIVIER ZAHM — What do you like about living in Japan? What is changing these days in Japanese society and fashion? JUNYA WATANABE — I just live in Japan because my company is based in Japan. That’s why my creation is based here. OLIVIER ZAHM — Do you find it accurate when the press describes your work as “conceptual”? JUNYA WATANABE — I’m not very interested in various design philosophies or ideas. What matters to me more is the content and reality of design. The everyday work. OLIVIER ZAHM — Do you have a specific woman in mind when you design? JUNYA WATANABE — I do not have a specific woman in mind when I work. OLIVIER ZAHM — Do you consider fashion a form of art? JUNYA WATANABE — I think that fashion is a way to express myself, and in that sense it is close to art. But the very reality of fashion is business. And I work on that basis. Styled by Yasmine Eslami — Lily McMenamy @ NEXT and Kameron Zane @ NATHALIE, models — Damian Garozzo @ JEDROOT, make-up — Marki Shkreli @ ARTLIST, hair — Clemence Belin, stylist’s assistant — Lou Ferri, hair assistant.